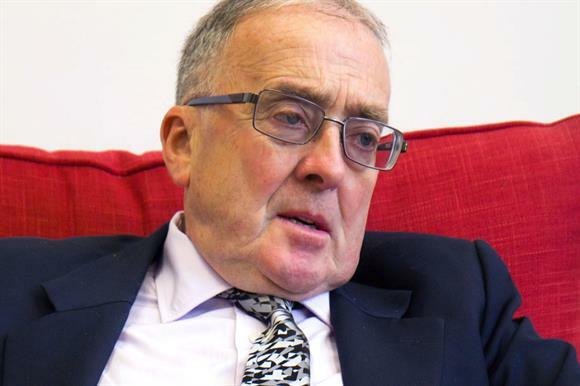 Sir Stephen Bubb, chief executive of the charity leaders group Acevo, has accused the Charity Commission of having a disproportionate focus on the risk to charities posed by Islamic extremism. Speaking at Acevo’s annual conference in central London yesterday, Bubb said many in the sector had been disturbed by what he called the commission’s overemphasis on the issue. His remarks came soon after a speech made by William Shawcross, chair of the commission, in which he outlined the regulator’s core strategic priorities as protecting charities from fraud, protecting vulnerable beneficiaries and protecting charities from "Islamist abuse". When asked later in the day what she made of the comments, Anna Turley, the shadow charities minister, said she had not heard them but said she was "interested by the emphasis" and "wouldn’t say it was a core purpose of the commission" to protect charities from Islamist abuse. But she pledged her support to the commission and said it did a good job. The journalist Polly Toynbee, who was chairing the session, invited Bubb to give his view from the audience. He acknowledged that it was the commission’s job to root out wrongdoing in the sector and that terrorism could be an issue for charities. But he said: "What I think has disturbed many of us is there is an overemphasis on ‘Islamist abuse’, and William was talking about it this morning in a disproportionate way. "There are all sorts of abuses that might affect charities, and the number of statutory inquiries into Muslim charities has been disproportionate." He said that the commission’s decision to ask the Joseph Rowntree Charitable Trust to promise it would never again fund the advocacy group Cage after it was revealed in February that Cage had interacted with the alleged Islamic State killer known as Jihadi John, and the emails between members of the board released when Cage took the regulator to judicial review over the issue, had revealed a "let’s get them" attitude that had shocked the sector. He said the sector and the commission needed to focus on supporting Muslim groups, not just enforcement action. "If you want to attack extremism, you need to do both the security measures in legislation and winning hearts and minds among younger people," said Bubb. "This is a community of three million people, the second-largest faith group, half of whom were born in this country and the vast majority of whom identify themselves as British nationals. "We should be working as a sector with society on the way that we integrate and work with those communities, and that’s why many of us are disturbed by the emphasis that’s been taken." A commission spokeswoman said: "We challenge the assertion that a disproportionate number of inquiries are open into 'Muslim charities' and refer to the latest analysis of charities that become subject to inquiries or compliance cases, available on our website. "We also undertake a great deal of outreach work, reaching 2,000 delegates at 1,000 charities last year." She pointed to a visit by Shawcross to the Brick Lane Mosque in east London last week. She said: "On support for charities, the charity sector is well aware of the considerable cuts the commission has suffered, which have affected the kind of support available to charities, and we have repeatedly explained that we must prioritise our resources on the highest-risk work."